A man is still in serious condition after striking a train in Sebastian, Florida. SEBASTIAN – The driver of the truck, who crashed into a train last Friday night, has been identified as 47-year-old Edward Charles Krok, of Sebastian. Krok is currently listed in serious condition at Holmes Regional Medical Center, police say. 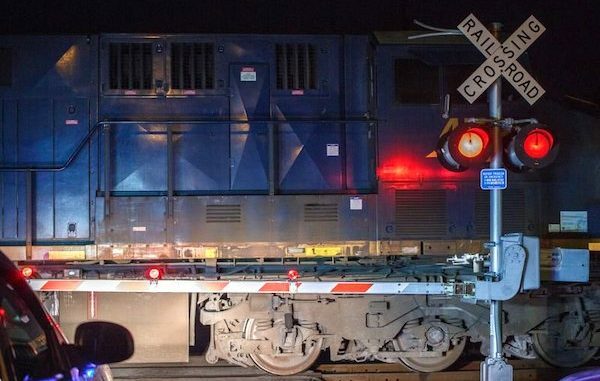 Sebastian Police received a call Friday at approximately 9:50 p.m. in reference to a truck which struck the train in the area of Main Street and Louisiana Avenue. “The preliminary investigation has revealed the Ford F150 being operated by Mr. Krok was traveling east on Main Street and failed to stop at the activated railroad crossing lights and arms, causing the truck to strike the southbound traveling train,” Lt. Timothy Wood told Sebastian Daily. Officers rendered aid until Krok was treated by medical personnel and transported to Holmes Regional Medical Center.